Do you have what it takes to drive these high performance cars to the limit? Prove it… on the Test Drive Proving Ground! Park, Race and Max Out FOUR incredibly cool cars – with accurate handling and precision driving take these motors for a spin around the authentic and realistic Car Testing Zone. 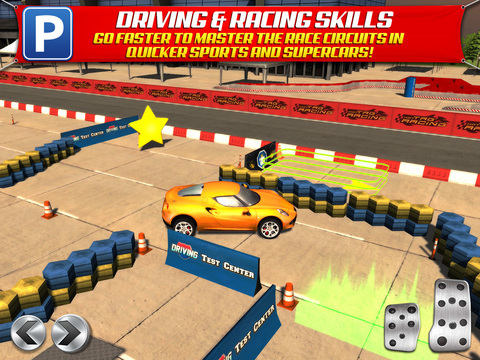 Park and Race your way around hundreds of intense missions! 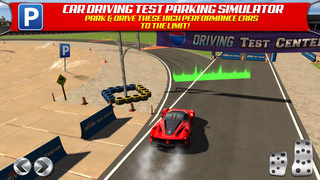 There are ‘Speed Events’ and ‘Precision Driving & Parking’ missions to mix it up… it’s two worlds of driving in one game! 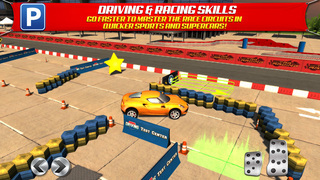 Go faster to master the race circuits in quicker sports and supercars! It’s not ONLY about speed. Can you FIND your way to collecting 2 hidden stars on every level? Race against the Worlds best times and compare your rank with the online leaderboards! 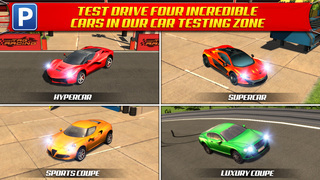 Can you be the best test driver? ▶ 4 Cool Cars to Test Drive! 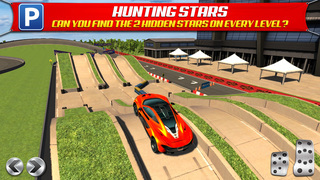 ▶ Loads of Intense Missions to fully test the performance of your cars! ▶ Realistic Car Proving Ground location to Dominate!